HTC ONE SV is one new product from HTC technology which powered by a supercharged, Dual Core processor for lightning-fast 4G speeds. 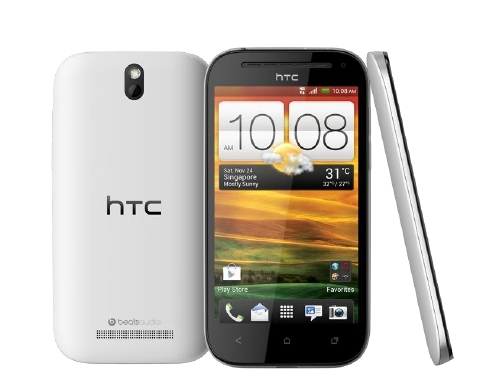 HTC ONE SV also provides lightning-fast web browsing, seamless movie and internet radio-streaming, plus quick access to all your cloud storage. HTC ONE SV available everything you see (photos, videos, presentation, games) with brilliantly vivid on the 4.3-inch screen, even when viewed at off-center angles. Access your content from anywhere with your free, 25GB, two-year Dropbox account, plus the Micro SD card slod allows you to expand your storage to meet your needs. Learn more HTC ONE SV with download HTC ONE SV user manual in below and fun life with your HTC ONE SV.